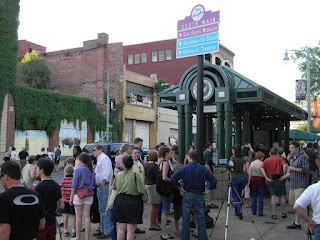 If you’re from Memphis then you know everyone favorite line here is “it nothing to do in Memphis”. Before last year I used to think the same thing. Going to the same hangouts, and eating at the same restaurants then getting on social media crying about how it nothing to do here or Memphis isn’t safe anymore. And of course, everyone favorite line "they shut down all the fun places in Memphis". It wasn’t until one night that I went out, and I had the time of my life at a place I never been before. The crazy part is I drove past this place several times not knowing it was a great place to hang out, and have fun (then the food was good). Since everyone here claim it nothing to do in Memphis, it leads to lack of creativity in the dating department. Well, this is where I step in and try to help. Dating is what keep the relationship alive. No matters how long you been with the person, you still have to date that person to keep that fire burning. The thing is nowhere in this universe is 100% safe, hell being in your home isn't safe anymore. Furthermore, the longer you stay closed minded the more you stay in a mental prison in your own city. 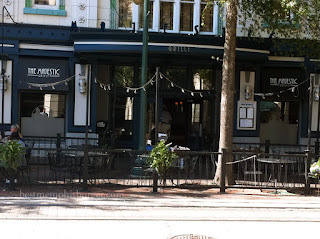 However, enough about that I’m here to share the top 5 places to go on a date in Memphis. The last Friday of each month, Memphis' South Main Arts District hosts an evening of art and music (perfect date atmosphere). Most of the shops and galleries are open-house, and if you go early enough, most of the vendors are serving complimentary drinks and a few snacks which can hold you over until dinner. So, you can get a good buzz going and see local art and live music at several locations, all for free which is the best way to kick off your date. Every third Thursday of each month, the Dixon Gallery & Gardens keeps the gardens open until 8 pm for Art After Dark, a chance to waltz through exhibits as well as enjoy the outdoors through paved walkways in the gardens. You can enjoy light refreshments, a cash bar, and movie screenings while you two are enjoying each other company. For a super casual, social date (the perfect place for him to meet the friends), go for a beer tasting at Wiseacre Brewing's tap room. Once the tour end you can stay for more drinks, because the taproom is bound to have a game on the screen or a lively band by the bar, plus it bound to be a food truck or two on the patio, so you can linger around a little bit longer to enjoy the amazing atmosphere. Even if the date doesn’t work out, you’ll at least have a souvenir glass to take home and you might meet someone else. For the classic, classy romance date Madison Hotel’s swanky rooftop bar and lounge, Twilight Sky Terrace is the perfect date. 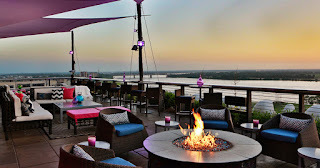 Sip on cocktails and enjoy dinner while you watch the sun set over the Mighty Mississippi with arguably the best view of the river in Memphis. 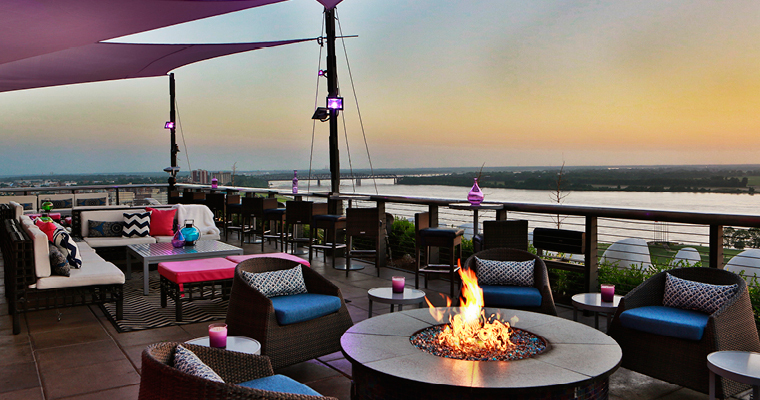 After the sun goes down, cozy up under the lounge’s fire pits for a nightcap while under the stars. If you’re a theme loving couple then this is the place for you. Pretend the two of you're a young couple from the Twenties in Downtown Memphis by spending the evening in one of Memphis historic building. 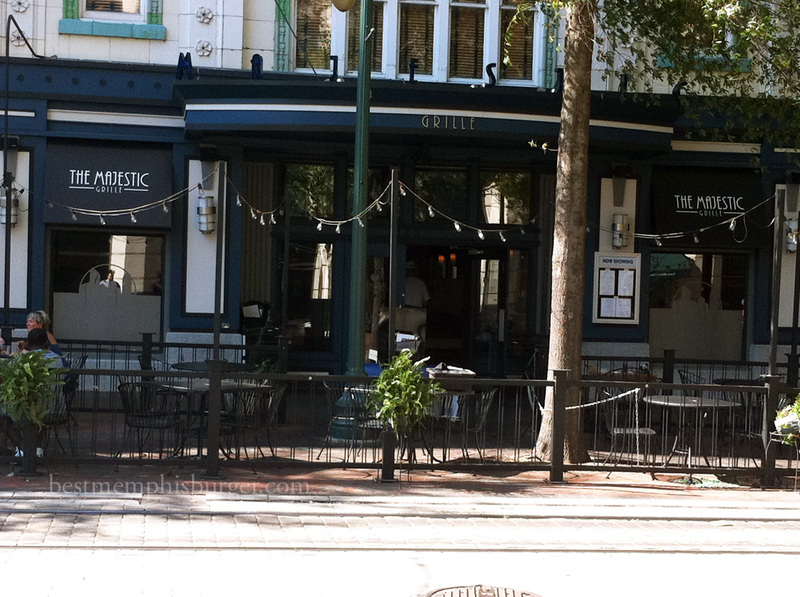 Ask for a seat on the mezzanine of The Majestic Grille where you can watch silent films under string lights, and eat some of the best steaks in Memphis. This place will set the mood right for the whole evening.